You can stay up to date on all the latest news a few different ways! Twitter Feed: Take a quick peek through our Twitter feed! We often post about our store hours, new products, exciting industry happenings, retweets from vendors, etc. It is a great way for you to get inside of our head to see what we find exciting in the rigging, tooling and safety world! 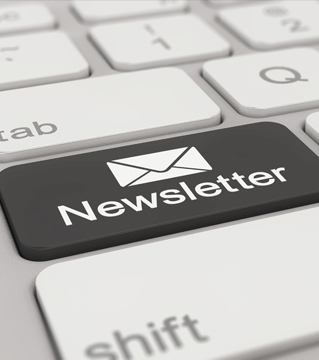 Newsletters: In the past we have been slackers when it comes to keeping our customers informed of what is going on in the world of Dakota Riggers. No more! We will be releasing a newsletter at the beginning of every month, we promise! The newsletter will be filled with all kinds of goodies such as the latest company news, new products and services, new vendors, customer submitted pictures, online store discount coupons, etc. Blog: Hop on over to our blog section for our newest postings! Our blog section will be undergoing a redesign in the near future, be sure to keep checking back!